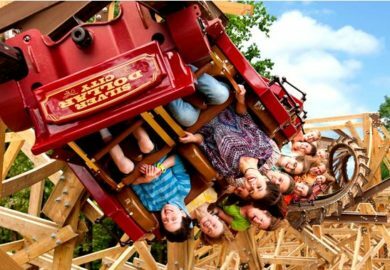 Experience Branson’s most popular attraction and one of the most beloved theme parks in the country, Silver Dollar City is visited by millions each year for its one-of-a-kind rides, shops, shows, and attractions! Lucky’s Dizzy Dogs at Fireman’s Landing! Roller Coasters & Rides for All Ages! 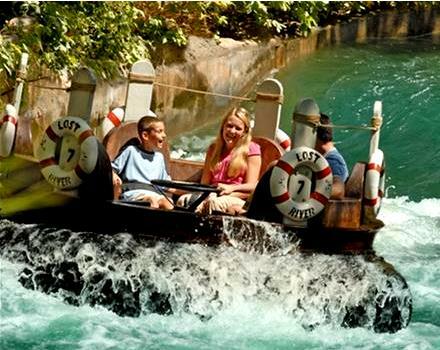 Lost River of the Ozarks! 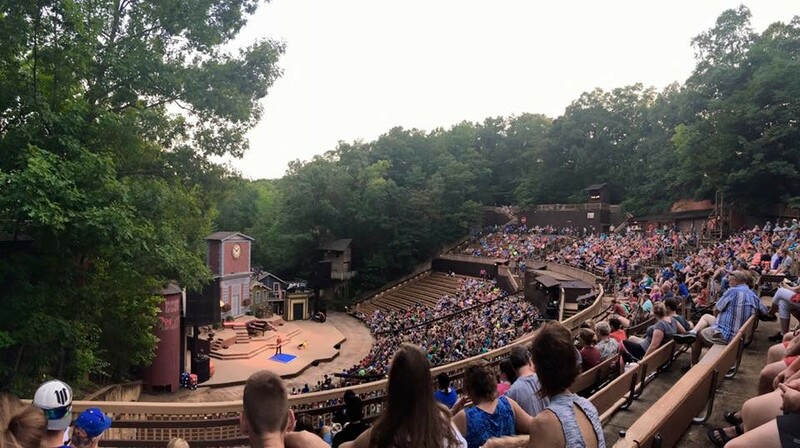 LIVE Shows at Echo Hollow! 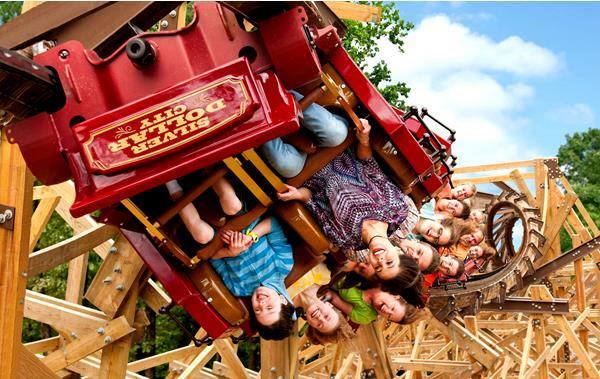 Booking tip: Silver Dollar City is very popular, advance reservations are recommended! 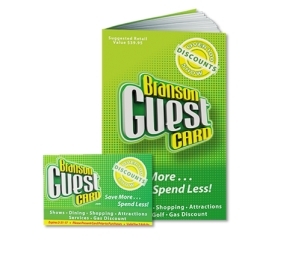 You save up to: $244.75 (58%) off! You save up to: $144.75 (34%) off! The 2-day passes are not sold at the park, you must order them ahead of time. For 2-day passes, you may have one day in between uses. Upgrade to a 2-day pass for only $5! 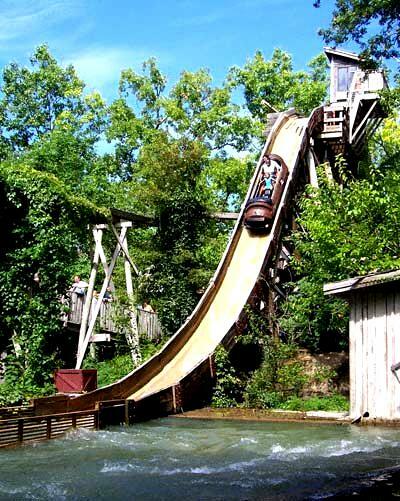 You receive admission to Silver Dollar City and White Water! These tickets are only valid July 20 – August 4 after 5:00 pm. 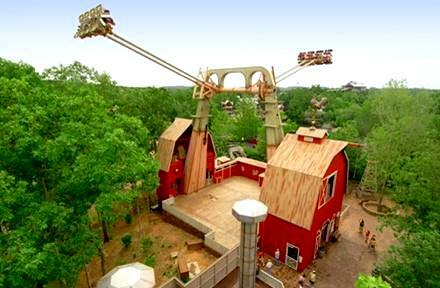 Silver Dollar City Theme Park! 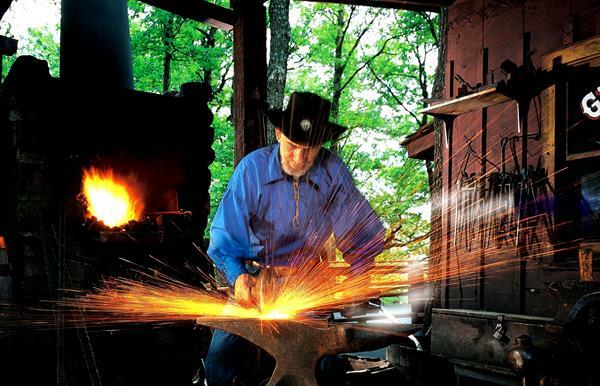 Take a step back in time to take part in the adventure and excitement that awaits you at Silver Dollar City – the number one attraction in Branson, Missouri! 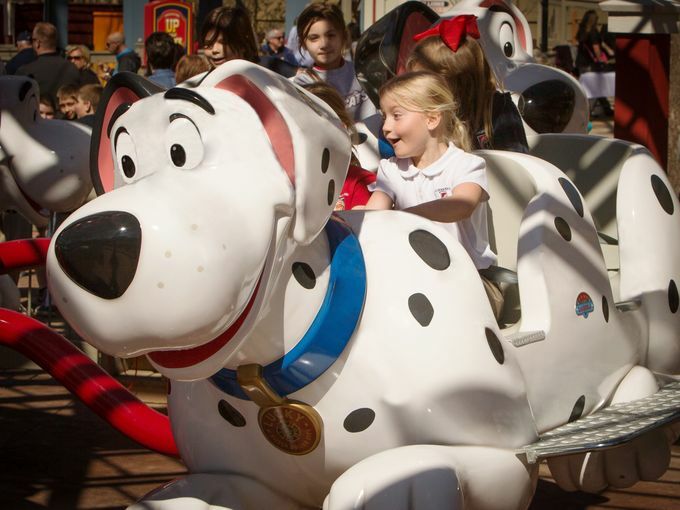 The most popular attraction in the Midwest, the theme park draws millions of people each year to experience one of the most family-friendly and welcoming attractions in the country. Open every season of the year, it’s a great way to spend a day or two with the family whether you’re seeing some of the great live shows, riding some of the thrilling roller coasters, grabbing a bite to eat, or doing some shopping at the little boutique shops scattered around the grounds. 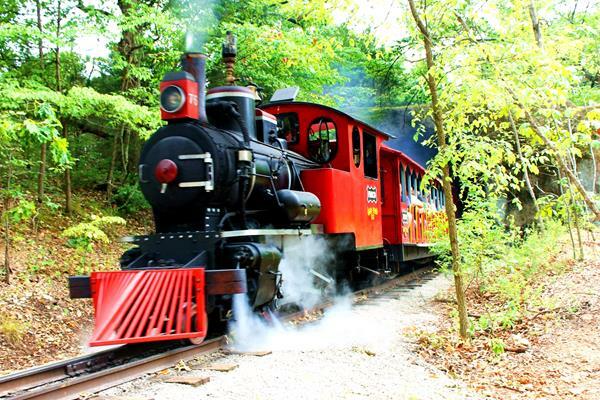 One of the top theme parks in the world, this 1800s-style attraction features a family-friendly place that everyone in the family is sure to enjoy. With thrilling rides, amazing shopping, delicious food, live stage shows, and much more – it’s more than just an amusement park, it’s an experience that you won’t ever forget! 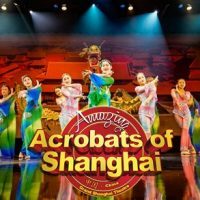 Each day more than 40 shows are performed in the park’s various theatres and amphitheaters (which are completely free for all guests) – and rotate throughout the different seasons. 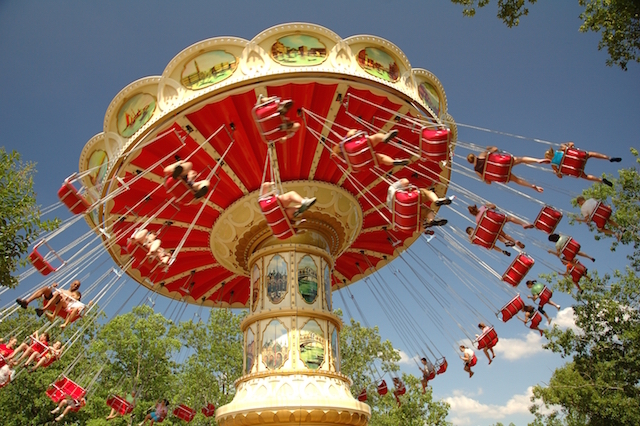 Spread throughout the amusement park you will find a variety of different rides and things to do for every age in your group. 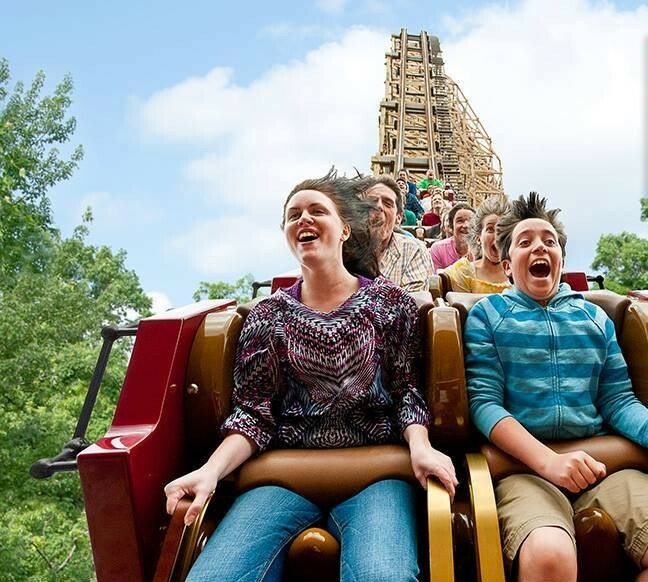 Whether you’re exploring the grounds of the Grand Exposition, riding the steam-powered train, or shooting more than 50 mph on one of the roller coasters – your adrenaline will get pumping and your heart will be racing as you experience the excitement of Silver Dollar City! 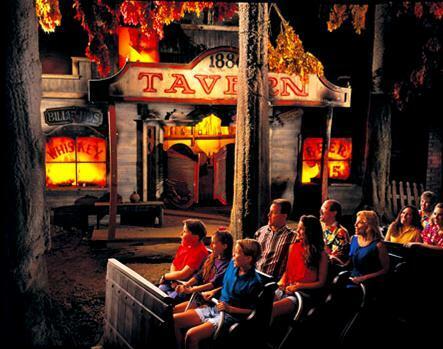 A 60-minute guided tour through Silver Dollar City’s most enduring attraction! Silver Dollar City’s centerpiece (the theme park was actually built around the entrance to Marvel Cave), all guests receive free admission to this cave that features a multi-story atrium as you enter. 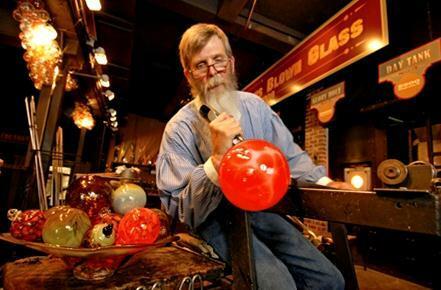 Witness skilled artists as they practice their craft in one of the country’s few-remaining expositions – where you can actually watch carvers, quilters, iron workers, glass blowers, and other master craftsmen create unbelievable things right in front of you! If you’re looking for something unique for a gift (or yourself), then there are plenty of shops and booths to browse during your visit. From hand-dipped candles to handcrafted, one-of-a-kind items – there is sure to be an item that catches your eye. 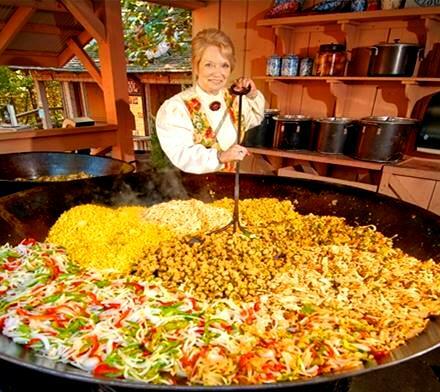 From full buffets to sandwich shops and snack stands, the variety (and quality) of the food offered at Silver Dollar City gives you plenty of options to choose from whether you’re looking for breakfast, lunch, or dinner. We found this treasure just a couple of years ago. Our family has visited all of the big US parks, but this park ranks right up there with the one in Orlando! Great family fun, wonderful employees, we recommend this park to all of our friends! Last year my sister took me to the Southern Gospel Picnic what a great time I had we where only going 2 days and ended up going 5 due to me getting in on someone giving me a pass one week I will never forget and saving money for this year to get my own pass looking forward to seeing you all there. 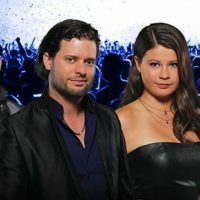 Loved the World Fest and going to back for the Blues and the live shows they will have. Very clean park in every way. My son enjoys it immensely. The good thing is, he can enjoy it without me having to supervise. This park is incredibly safe for children. Have always had a great time there, and we know each time we visit….it just gets better. Love the place! We took our kids nearly every year when they were in grade school. The husband and I plan to go again this fall by ourselves. And again when the grandkids can go. 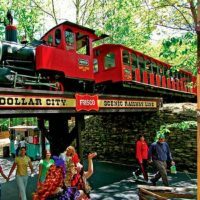 My finance and I visit SDC at least several times when we can afford it. It’s a wonderful place! 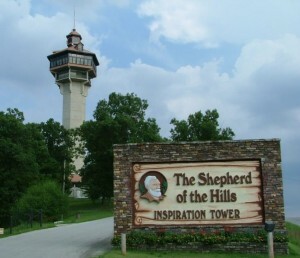 Fresh air,beautiful nature, thrilling rides, and the nicest people in Missouri. I’d live at SDC if somebody let me!!!LOL!!! Very nice clean park! My only complaint is that the price should be cheaper in the winter, several attractions were closed. Me and my family love SDC! Everyone is so kind and the park is always clean and pretty. The shows they put on are always top notch. I have been going at least once a year for about 14 years now and I always have such a great time. I would definitely recommend it…. 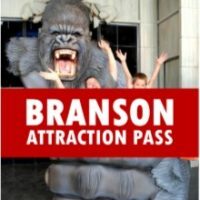 I suggest getting the season pass because you will want to return and the park changes as the seasons change and each theme brings in new shows and decorations. You wont regret taking you children, friends or family here! My parents took myself and all my siblings almost every summer while we were young and it was always the highlight of our year. Great memories and good times, got season passes for Christmas and my boyfriend and myself intend to go as soon and as often as possible. Can’t wait! My husband and I have attended Silver Dollar City for 33 years. We know this place very well and have attended each festival at least once. It’s been our main source of entertainment through out the many years. We remember when we sat on bales of hay for our seats. They were much more informal in those years. We’ve seen a lot of changes at SDC, but have always been happy with the high quality entertainment at each festival. We especially enjoy the Christian atmosphere which is so rare in many parts of the country. Have had season tickets for many years. We have done it all and always enjoyed ourselves. The hills are chalenging. We use walking sticks to help get around. We are now at the age that we enjoy the shows most. We are still impressed. vacation when they were young, and our son chose the Wilderness Church for his wedding and now takes his family to SDC. The park is a wonderful place to make family memories and we will continue to do so as long as possible. Make the trip–you will not regret it!! Held “season passes” for the last five years / love the place / Echo Hollow is the main reason we continue to come. My family have held season passes for the last 20 years. I am usually not disappointed. However, on our last visit I was very disappointed. We ordered the six piece chicken tender basket. We received plenty of fries. However, the chicken tenders consisted of 3 tenders and 3 bite size pieces. 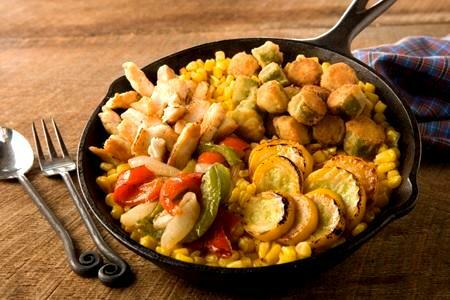 This is not what the picture of the meal showed. Almost like false advertising. Our family visited silver dollar city on Sept. 23, 2017. Beyond our expectations was Cindy Canfield, weaver, in the yarn mart. She thrilled us all with her knowledge of weaving and her sweet soul. My 9 year old granddaughter was even allowed to weave on the spot. Yes, we bought the weaving looms and have already started on our own projects. Thank you Cindy! I have wanted to come to the craft festival for 20-30 years. I love to do crafts and see crafts being done. After waiting for so long I was very disappointed in the festival. I only saw maybe 10 crafts being done. I don’t know what happened to the demonstrating craftsmen. I didn’t see any. Certainly not 100 plus 125 visiting craftsmen. We bought a two day pass so we could see everything. There wasn’t anything to see. Very disappointed. I feel like I wasted my hard earned money. I won’t be back again. Would like a refund. This past month, I, along with two other siblings and our spouses went to Silver Dollar City with my mom and dad to celebrate mom’s 80th birthday. 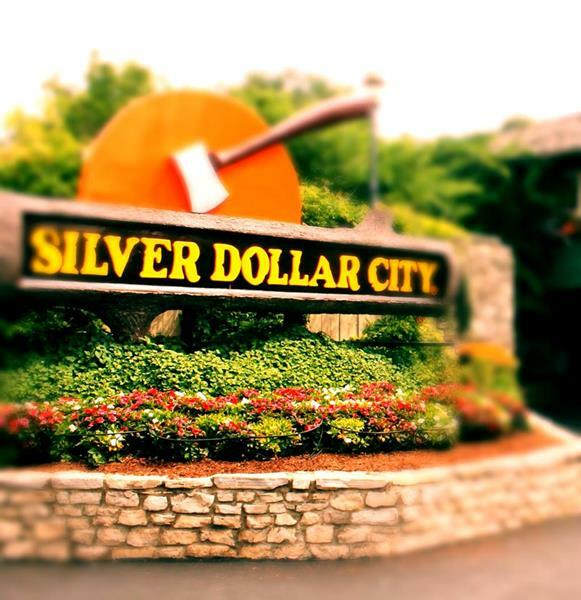 Silver Dollar City was the first stop on our four days in Branson. The parking lot was full so our men let us off at parking 2 while they found a spot in Parking 3. “Dave” went out of his way to pick us up in parking 2 and had the whole tram singing, “Happy Birthday,” to my mom and welcoming us, who came from Tokyo, Japan, Seattle, WA, and Eugene, OR. That was our start to a perfect day. We previously rented 2 scooters for my mom and for myself (her knees and my plantar fasciitis). It made the day painless and extra fun. 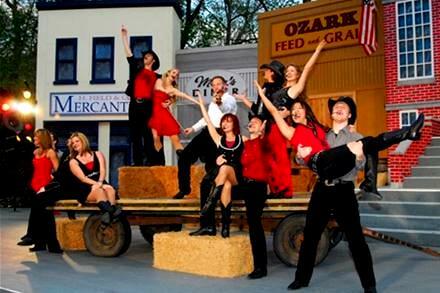 Everybody is friendly at SDC, the music is amazing, and I LOVED our day there. LOVE the crafts and ended up buying a three-hole birdhouse to take back to Japan. SDC was a highlight for all of us. 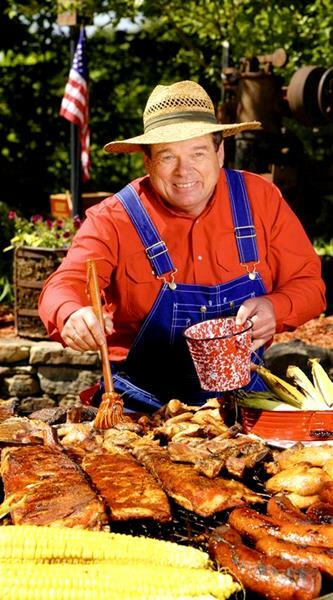 I will NEVER visit Branson and leave out Silver Dollar City… And Dave, you are the best!!! I love Silver Dollar City. The shows are all very professionally done. Entertainment is family friendly and very wholesome. It is always beautifully decorated at Silver Dollar City. Going there always leaves me with a heart full of joy and a peaceful feeling. I think there is so much entertainment for everyone. It is the greatest place to be!!! I love the music!!!! My family and I have been coming to SDC since 1974. We have enjoyed every visit since which has been several per year. We have had season passes many of those years. The first ticket I remember paying for was 7.95 which I still have today. Through the years I have seen several changes and great additions. One change that I would like to see still yet is parking garages. Several on the same side of the street. Don’t change the food it is amazing and always enjoy the shows and rides. 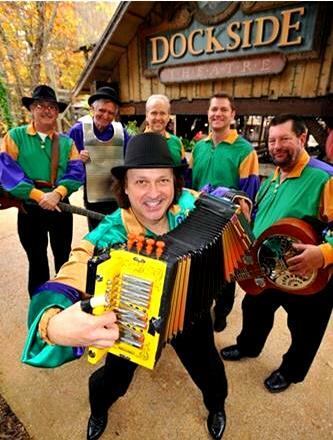 And really enjoy the season passes including Dolly Wood in Gatlinburg and many other treats. Great job folks. Carry on. Do I get an Amen from all families? We have been to SDC many times and have ordered our usual season tickets for 2018. We visit SDC two or three times a year (for a couple of days each time). We do enjoy SDC…. and we have enjoyed the Dicken’s Christmas Carole and (also) “It’s a Wonderful life” . . Perhaps it is time to change to something new and fresh for our viewing. Thank you for the pleasure we hope to continue to find there at SDC. My parents started bringing us there when the park was first opened with only the swinging bridge, cave, some shops and gunfights on main streets. We were there once when it wasn’t even really open yet. I’m 66 and I still love coming to SDC. I’ve brought kids, and now grandkids. We’ve gone as a family and as a couple. When I lived in Harrison, I brought my kids every couple of weeks. I’ve always loved it – although it was better for me before so many noisy thrill rides were opened. I know you have to compete. My favorite shows over the years were the Cajun group and the Haygoods when they performed there. One complaint – you’re pricing the park out of a lot of familie’s reach now. With a couple of kids, the price of admittance is very high for a working family, along with food, lodging, etc. For us, with four grandchildren, all now 12 or over, it’s become prohibitively expensive. We love SDC, though. I grew up with it, and it will always be my in heart! I love SDC! They have great rides and there food is so delicious! I’ve been going since I was a little girl and now my granddaughter gets to go! We enjoy the shows and the Christmas lights that’s the best! I highly recommend for anyone to come! I know it’s expensive but if you get the all year pass it’s well worth it! 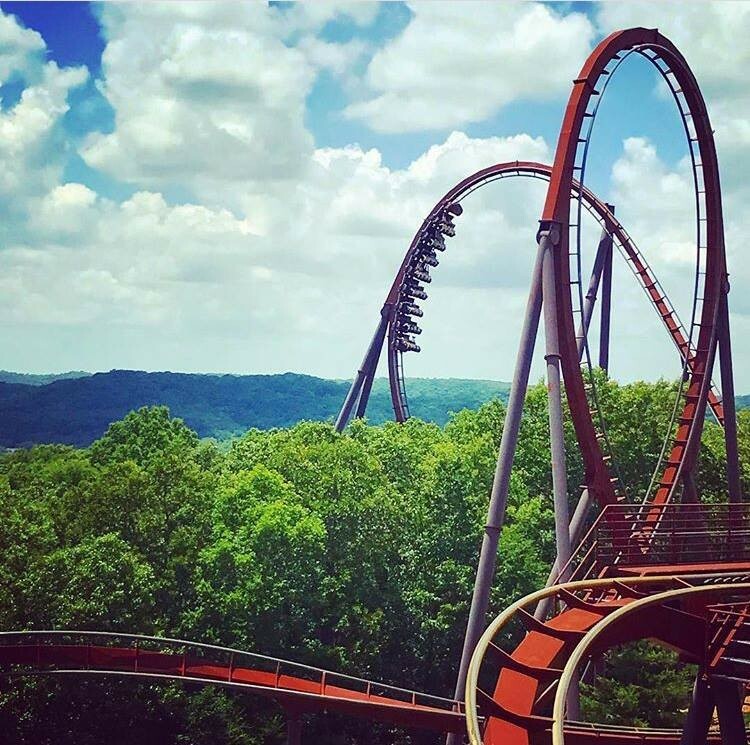 And Thank you SDC for adding more rides! We spent our honeymoon at Silver Dollar City 40 years ago in September during the craft festival. We have been back every year since in September celebrating our anniversaries, now instead of the 2 of us we have our kids going our grandkids and now our great grandkids going with us. We will once again be there on Sept. 26 to enjoy the best time ever. 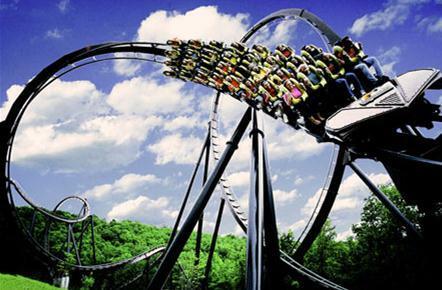 We would”t think of not buying season Passes to Silver Dollar City. If we do no more than stroll around in the park and listen to the Son”s of Silver Dollar City , it is worth our cost.We love the different shows brougt in such as Southern Gospil , Blue Grass,Country shows and of course the Wonderful lighting at Christmas. You gotta see Scruge and Tiny Tim. For thirty eight years we found a home at Silver Dollar City. My first visit was in 1998, with my church family. I have come back for the Fall Harvest and Cowboy Festival every year since, and normally for the Christmas festival. Beautiful surroundings. Old time atmosphere. Very friendly people. So much to do at the park. If your single or with a spouse/family, you will have a wonderful time. I can’t imagine anywhere else that is the Total Package, like Silver Dollar City! We buy season passes and enjoy just spending time having a stroll and relaxing. No need of hurrying since we can come back the next day. I have had incidents with the men who drive the buses back and forth in the parking lots. They can be rude and upset my visit. Other than that, I love spending “exercising time” at SDC!